Early bird pricing ended at 2pm. $20 door price now in effect. Taco Deli, Harris & Essex, Chickfila, & more! 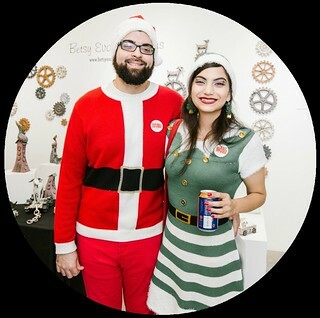 Plus early shopping access to 60+ local artists, artist demonstrations, and ugly sweater contest! Fun and festive: Ugly Sweaters encouraged! Note: No physical tickets or proof of purchase is necessary for admission. Upon arrival, go to General Check-in. You and any guests will simply check in under the ticket purchaser name. Fresh Arts Members are eligible to purchase One General Admission ticket at NO COST. To receive your FREE WHAM Ticket, simply login under your Membership ID and continue the checkout process. The discount will automatically apply just before the last step in the checkout process.